Product reviews play an important role in the success of any Amazon seller. Amazon users rely heavily on this feedback from other users when making decisions about whether or not to purchase a particular product. Amazon has made the integrity of product reviews a continued priority, allowing users to put absolute faith in the legitimacy of what they are reading. Among other factors, like click through and conversions, product reviews factor into your Best Seller Ranking. Your Best Seller Rank in turn determines where you appear in Amazon product searches. The higher you appear in the list of results, the more likely you are to have someone view your listing and potentially make a purchase. People cannot buy products they cannot find. As a seller, product reviews not only give you credibility and exposure, they can give you market insights as well. 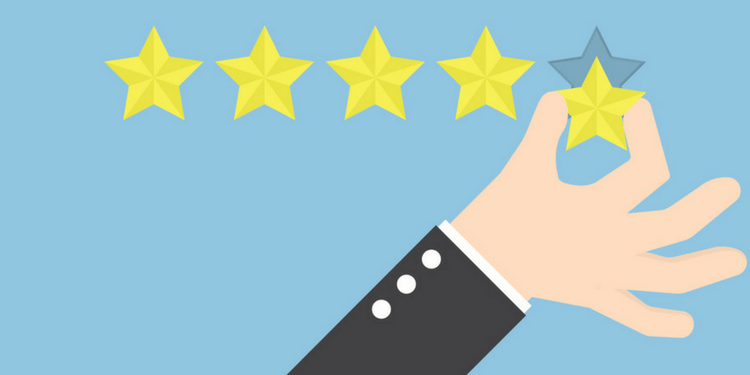 By tracking your customer reviews, you can gain an understanding of what products will sell, where improvements need to be made, and how you can most effectively position your product to sell. Establishing effective email campaigns can go a long way to improving your numbers across the board. When it comes to increasing product reviews, it is actually the most powerful tool in your arsenal. Reaching out to customers one at a time beyond a certain sales threshold is impossible. Email automation can allow you to reach customers in specific and targeted ways for a specific and targeted purpose. You can set up a sequence to go out a certain number of days after purchase to follow up with the customer and make sure they were satisfied by the experience. Most people are perfectly happy with their purchases but fail to leave a product review. Remind them that they can leave one if they wish. Include the link to make the process as easy as possible. You can also establish another campaign that goes out when someone leaves a negative review. Negative reviews are not a horrible thing when they happen once in a while, it is just reality. Things happen sometimes. But if negative reviews start to pile up, it will hurt your sales, tank your ranking, and may even result in the suspension of your selling privileges. How you respond to negative reviews is almost more important than the review itself. 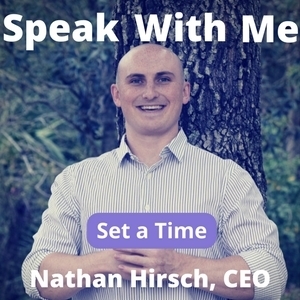 Automate an email that reaches out and offers a solution and tries to make things right. More often than not, consumers are so pleased by these actions that they amend their review, or leave a new one, reflecting this most recent exchange. Interacting with buyers shows that you care about their experience. This may in addition make them more likely to purchase from you again in the future. While Amazon product listings can be personalized through A+ or Enhanced Brand Content, they are still pretty uniform. To really connect with buyers, you need to get creative. Add a branded sticker or some content that adds value to the experience. If you sold a kitchen appliance like a high powered blender, for example, you could include a free, branded recipe book. It helps the buyer understand how to use your product properly and may provide them with uses they had not imagined. This will surprise the buyer in a positive way and make them more likely to share the experience in a review. Include a personalized thank you note. Let the customer know that you truly appreciate their business and let them know that if they felt inclined, you would really appreciate it if they could leave a review. It creates mutual good will. Just be careful that your inserts to do not include links to sites other than your listing or Amazon store. Amazon is very strict about sellers sending Amazon users to places outside of their marketplace, so avoid it whenever possible to be sure that you do not violate your terms of service. Using a platform like Facebook is a great way to encourage product reviews. Use your brand’s Facebook page to interact more freely with your audience. With Facebook advertising, you can send people to a dedicated landing page that offers valuable information about your brand and/or product and then link them to your Amazon listing. Facebook allows you a relatively frictionless way to interact directly with your customers, both new and returning, and it gives you the chance to proactively encourage people to share their experiences with your brand through a product review. Once again, this shows people that there are real people behind the brand and that you do not consider them to be just another Facebook fan or another potential sale. Great customer service often leaves a lasting impression and will be reflected in your reviews. In October of 2016, Amazon made an announcement that it would no longer allow sellers to offer incentives, like a discounted or free product in exchange for reviews. The only exceptions are the incentives offered via the Amazon Vine Program through which Amazon invites trusted and helpful reviewers to post opinions about new or pre-released products. Unfortunately for vendors, to have products reviewed in this program costs money – up to $7,500 per ASIN! Outside of Vine, it is best to avoid offering anything in exchange for a review. While historically it was a worthwhile way to amass positive reviews, it is not the only way to go about it. Focus on the areas mentioned above and you should still be able to get what you are looking for. No one likes to face an email inbox full of unopened emails. And no one is pleased by an inbox full of annoying emails from the same sender. Sending too many follow up emails, newsletters, product updates, or review requests will sour your buyers and cause them to either block your messages or unsubscribe from your lists. It may even cause them to post negatively about you. Amazon places customer satisfaction above all else. You can bet that if they receive a complaint that you are sending too many messages to their users, it will result in a serious review of your selling privileges. Do not get so caught up in the process of gaining product reviews that you ignore your current product offerings. Pay close attention to what people are saying in their reviews. If there are ways you can improve your product based on these comments, look into making it happen. It is important to have a strong strategy for customer reviews, but if you do not have a product worth reviewing in the first place, you are just wasting your time and your efforts. Product reviews are important for your success on Amazon. By doing (and not doing!) the things mentioned here, you can get more product reviews and create a strong, established, and trustworthy Amazon presence that translates into sustainable profits.